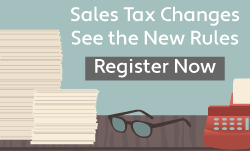 Learn best practices and get sage advice from leading experts on sales tax compliance. Our wide network of presenters will cover everything from audit preparation, new Amazon laws, drop shipping rules, the latest trends in sales tax rules, and more. Sign up for one or attend the whole series! 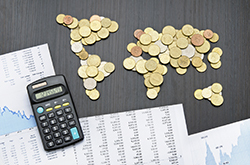 Discover why other states want you to collect sales tax. One of the hardest things companies must do is figure out where they're obligated to collect and remit sales and use tax. That's because what determines significant physical presence in each state varies because most states make their own rules and define “presence” differently. Adding to that challenge is how quickly many states are changing their rules. While we can’t change the rules, we can help you know which ones apply to you. Attend the presentation and let SALT expert Judy Vorndran explain which activities create nexus in most states, when you should review your nexus activities, and how to create a nexus checklist. The new year is always a time of change – and sales tax in 2017 is no exception. Understand the rules, protect your business and stay ahead of the changes. Join Avalara as we walk you through everything sales tax for 2017. We’re bringing in our resident sales tax expert Shane Ratigan to explain what the State and Federal government has in store for all things sales and use tax. Sure, you can do the research yourself. Or you can let us do it for you! Stay tuned for 2017's presentation lineup! Be sure to check out Avalara's blog for the latest updates on sales tax rules and regulations, along with commentary, press releases, and other sales tax news for your industry.